BARN Cancellation and Refund Policy: To change or cancel your registration, please call (206) 842-4475 or email info@BainbridgeBARN.org at least four (4) days prior to the class/event start date in order to receive a refund. Your spot in the class is not guaranteed until payment is completed. If you would prefer to register and pay offline, please call or come into BARN. This class will qualify you to use Fiber Arts Studio, standard, Brothers sewing machines in workshops that have this class as a prerequisite. 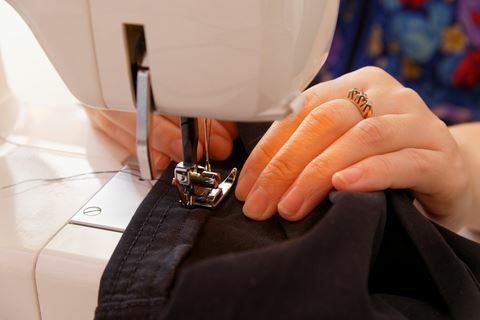 This class will also qualify BARN members to use the Brothers sewing machines in the Studio for independent sewing projects. PLEASE NOTE: THIS IS NOT AN INDUSTRIAL SEWING MACHINE CLASS. Free to Members. Non-Members are $10. Please register so we know how many people will be coming.